Shiv Sena's Sunil Raurt had said he would contest as an independent if Kirat Somaiya was given a ticket again. Shiv Sena's Sunil Raut is supporting BJP candidate Manoj Kotak. 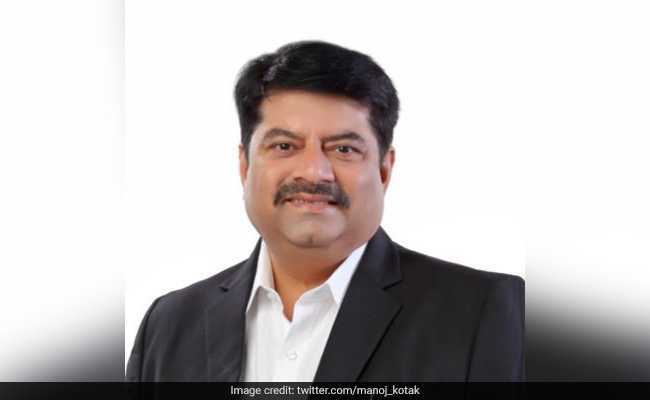 Shiv Sena legislator Sunil Raut, who had earlier threatened to contest as an independent from the Mumbai North East Lok Sabha constituency if sitting lawmaker Kirit Somaiya was re-nominated, has come out in support of BJP candidate Manoj Kotak and sought votes for him. "I appeal to party workers to ensure the victory of BJP candidate Manoj Kotak and not fall prey to any rumours. Everyone should ensure that the Sena-BJP alliance becomes stronger, " Sunil Raut told news agency PTI. Suni Raut, who had earlier announced to contest as an independent if Kirat Somaiya was given ticket again seen sharing the stage with NCP candidate Sanjay Dina Patil, who had lost to Kira Somaiya in the 2014 elections. Kirat Somaiya was not re-nominated by the BJP, which is contesting three out of total six seats spanning the island city and suburbs in Mumbai. The Shiv Sena is contesting from three constituencies as per the seat-sharing deal. Shiv Sena leaders were against Kirat Somaiya's, since he had made strong remarks against the party brass.